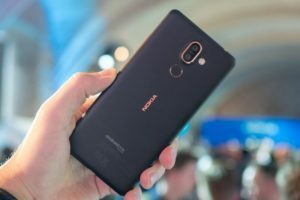 Home » Opinions » Dear HMD Global, let us unlock the bootloader on our Nokia phone as per our choice! Dear HMD Global and its esteemed employees, it’s about an year since you last talked about offering the ability to unlock the bootloader. I am writing this blog to remind you of your promises (were they?) which never became real. We are still awaiting an official method to unlock the bootloader on our Nokia phones running on Android. Nokia users, please consider joining in the Nokia Forums (link in the end) and help us raise the voice. Back in September 2017, your CPO Juho Sarvikas and CTO Mikko Jaakkola agreed to look at it. Mikko later tweeted that they will unlock one model at a time. However, it’s been an year since then and your employees decided to ignore any further requests and not speak anything on the topic. Not to mention that even that promised “one device at a time” never happened for real. Let me remind you that nearly all of the Android OEMs offer a method to unlock the bootloaders. Some are generous enough (OnePlus, Xiaomi and others) to not void the warranty, others (Samsung, LG, Sony and others) are happy to unlock the devices if the customer agrees to give up (and void) his warranty. Then there are a few OEMs (is that you, Huawei?) which are taking a U-turn from being (trying to be) a developer friendly company to being the one completely disallowing device unlocks. Which one do you want to be like? Allowing the bootloader unlocks is just a simple and easy demand from the development community. I do not understand why you cannot fulfill such a simple request and raise your trustworthiness in the eyes of developers. Why not allow users to use their Android phones the way they want to? If you do not want to support unlocked phones then it is easy to add a “Unlocking will void your warranty” warning on the page where users can request for unlocking of their phones. Bootloader unlocking ability is a buying decision for many. 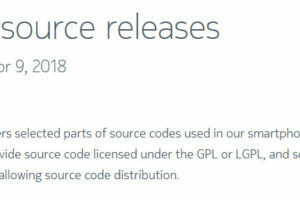 Android being an Open Source platform, offers a lot of things to the power users. And there are many users for whom the ability to unlock the bootloader is the first priority while looking for a new mobile phone to purchase. You have done a good job with launching some great devices which are different from the competition. Now, I believe that it has been a long enough time that you be clear your stance to the development community. 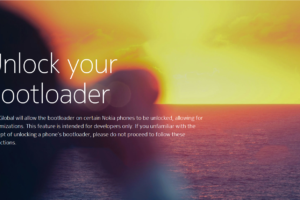 So, please speak up how you want to treat the requests for bootloader unlocking on Nokia phones. Hinders your ramp up? How? If you want to bring the “focus on ramp up first” topic, then let me remind you of OnePlus again. They have always supported bootloader unlocking, even when they were a baby and even today when they manage to be one of the leading global players. Anyhow, can you please care to communicate how unlocking the devices affects your ramp-up? Security Risk? Really worth saying? From the security point of view, yes, unlocking allows users to make modifications which can result in the device becoming less secure. However, users know what they are doing and they agree to read and accept your disclaimers and terms. Plus calling unlocking a safety risk is same as calling installation of APK files from “Unknown Sources” as a security and privacy risk. Why are you still allowing those? Shouldn’t they be already removed from your operating system? Here are my questions to you. Clear and straight! Will you offer to unlock the bootloaders? If yes, then when and why not now?. If no, then why? Just clear your position. How does unlocking affect your ramp up plans? How does unlocking affect the security when the device owner is well aware about what he is doing? Nokia users and readers, you can help! Please spend a moment to reply in the Nokia community. The thread has a few hundred replies already and can be found here. You can also consider making a new post in the Nokia community forums.